The theme of this year’s Tirgan Nowruz Festival was Diversity… but what exactly does that mean? Diversity is a term that gets thrown around a lot these days, and it has become entangled with mainstream debates of political ideology, but it has a deeper meaning if you care to look. Diversity is not only a balance of race or ethnicity, it is the benefit we gain from interacting with and learning from those whose experiences and perspectives are different than ours. At a public relations meeting we discussed the topic and what it meant to us. We realized Diversity is fractional, which means that you can find diversity in many forms in almost any group, and if you divide that group in half in any way you want, diversity will still exist within the resulting groups as well. 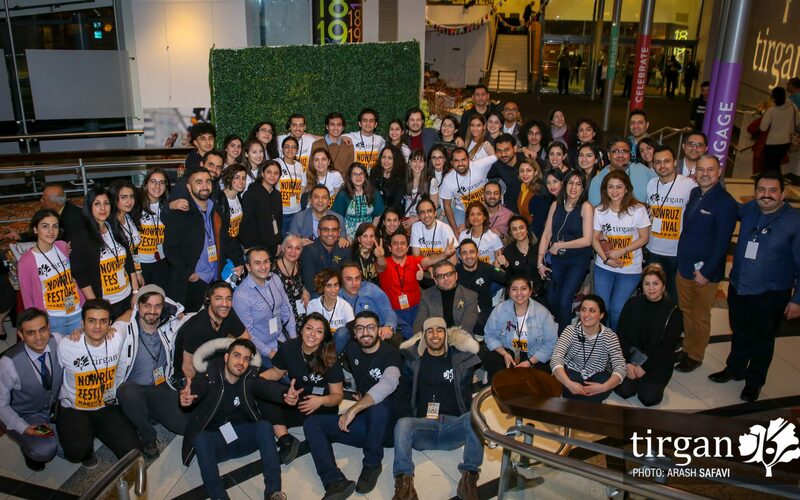 We pondered if we, as a group, are at all diverse… after all, we are a group of Iranians within a larger Toronto community that is a mosaic of numerous cultures, and a beacon of cultural diversity across the globe. Then we looked a little deeper, and it became clear that diversity still exists within this group. We may all come from the same background, but we’re from different cities, and some even speak different languages. We all immigrated to Canada at different ages and different stages of our lives, we have differing tastes and outlooks on the world. We are in fact a group of distinct individuals, each with their own unique story, who came together in one common goal: to organize a festival, one that would be worthy of this great city, one that would put a smile on the faces of anyone who attended, regardless of any notion that divides us, but in embrace of all that unites us. We hope you enjoyed the fruits of this labour of love! Stay tuned for our signature Tirgan Summer Festival, July 25 – 28th.